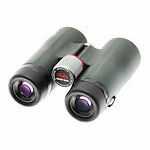 Kowa BD42 XD Prominar Binoculars are available in 8x42 and 10x42 models. They incorporate two elements of Kowa's signature XD lenses for high contrast and significantly reduced chromatic aberration. 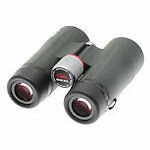 BD42XD prisms have both phase and C3 coatings. The BD42XDs feature wide fields of view, 4.9' close focus, and 19mm (8x) and 18 mm (10x) of eye relief all packed into a magnesium chassis weighing in at just over 23 ounces. The BD42 XDs are rubber armored and waterproof and nitrogen purged.